As the Anchor AIMS Games gets set to reach new heights, its only fitting that the climbers are on board. As the Anchor AIMS Games gets set to reach new heights, it’s only fitting that the climbers are on board. A record 10,851 intermediate-aged competitors have entered September’s week-long long tournament in Tauranga, coming from more than 320 schools all over New Zealand and the Pacific. 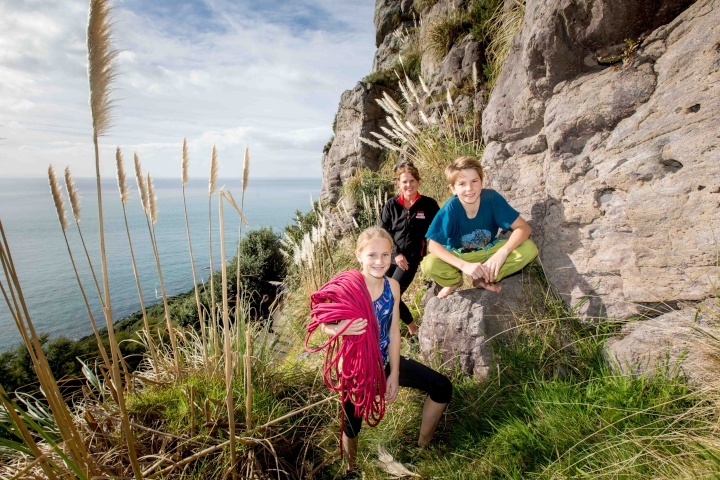 For the first time, rock climbing has been included as one of the 22 sporting codes, with the likes of Tauranga 11-year-olds Mischa Boorman and Kieran Death delighted to be getting their chance to shine. “It’s going to be huge for our sport because there are already 150 climbers coming and other kids are going to see how good it is,” he said. The 15th running of the AIMS Games will break more records, after athlete numbers surged through the 10,000-mark last year. An additional 712 athletes will compete this year, nearly the entire number of competitors in the first AIMS Games in 2004. Netball remains the largest code, with 124 teams this year featuring 1488 players. Basketball has surged, however, breaking through the 100-team mark with 74 boys’ teams and 33 girls’ teams creating memories for 1264 players. While football numbers have plateaued slightly at 1402 players, that has been offset by Futsal nearly doubling, from 390 players last year to 610 this year. A record 265 multisport competitors have entered, along with 827 cross country runners and 372 swimmers, while gymnastics will have 500 competitors for the first time. There’s also a small trend away from traditional hockey teams, with the boys’ and girls’ numbers both down, but the 6-aside mixed format adding another 14 teams and taking the total number of hockey players to 1092. Organisers have made several changes to the tournament this year, most notably with football moving to Papamoa’s Gordon Spratt Reserve and rugby sevens moving from Waipuna Park in Welcome Bay to the tournament hub at Blake Park.